Obverse: The crowned royal cypher of Princess Clementine, circumscribed with the words “ЧЕСТЬ” and “ВѢРНОСТЬ”, meaning honour and faithfulness, and tiny six-pointed stars in between two decorative elements appearing on the top and bottom of the badge. Reverse: A Bourbon fleur-de-lis, circumscribed with two dates: “22 МАЙ 1899” and “14 ЯНУАРИЙ 1888” / translation: 22 May 1899 / 14 January 1888 /, divided via two small six-pointed stars. The award dedicated to the 80th birthday of HRH Princess Clementine (mother of the ruling monarch) was designated to be awarded to members of the 9th Infantry Plovdivski regiment, whose patron was the Princess. 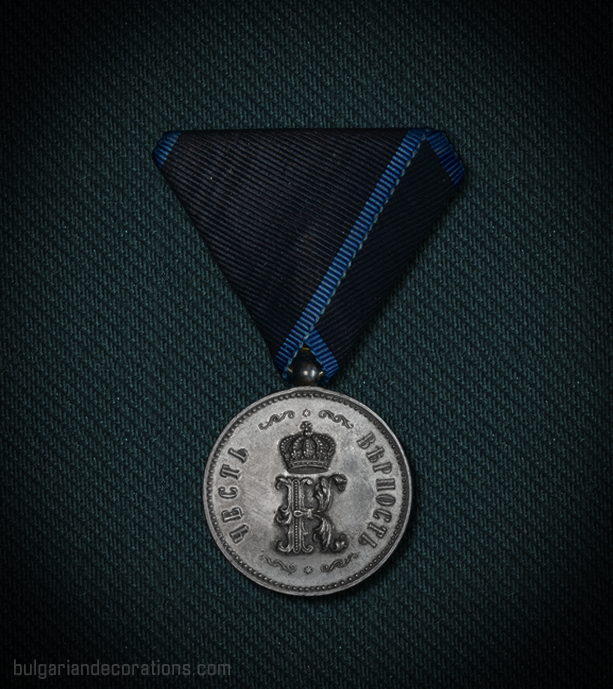 She has been appointed as its chief on 14th January 1888, hence the inscription on the reverse of the badge. The 9th regiment was one of the best equipped units within the Bulgarian military at the end of the XIX century. This is due to the fact that the Princess was spending huge amounts of money for its maintenance, up until Her death in 1907. The decoration has been minted in three variations. Gold badges have been presented to the few senior officers of the regiment. 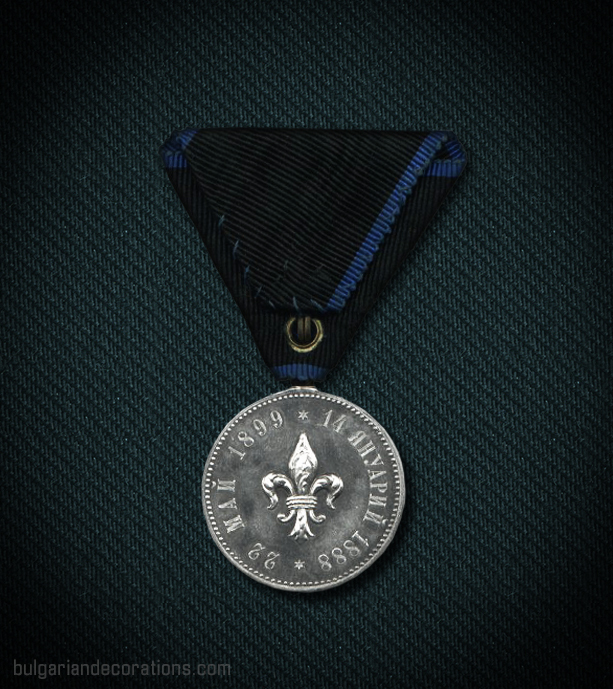 The rest of the officers have been decorated with the silver badge. 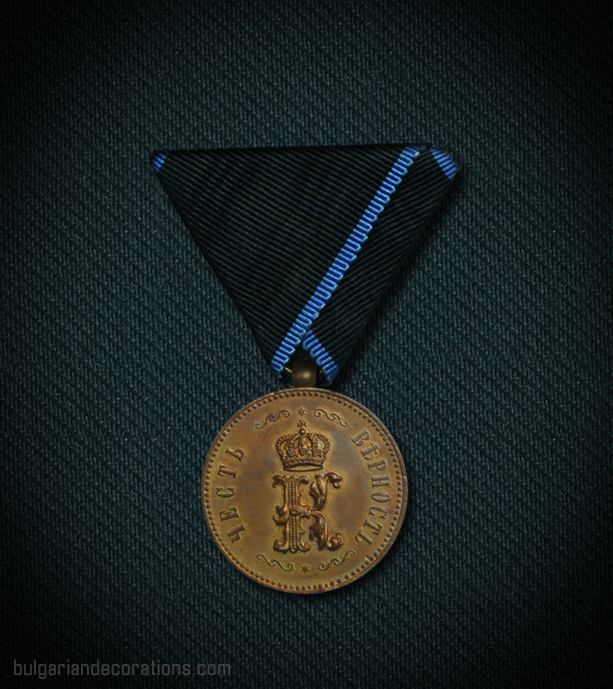 The enlisted men and all non-officers serving in the regiments were to be decorated with the bronze badge. 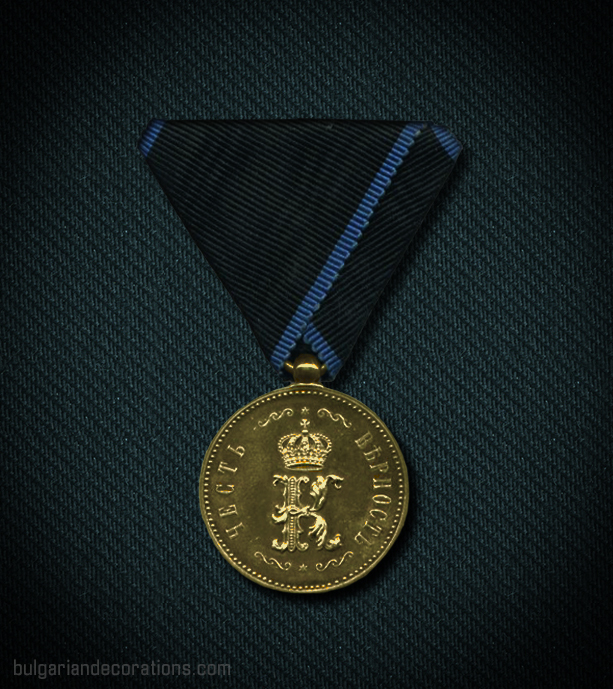 Prince (later King) Ferdinand I has also been decorated with the gold badge, as he’s been officially assigned an honorary position within the regiment. This distinction is very rare, due to it being designated for decorating the men of a single military unit. This is the main reason why its history and dedication has not been fully researched. There are some clues that the colours of the ribbon may have been altered at some point. Certain sources indicate that the initial base was light blue in colour with undetermined number of yellow stripes. These colours seem quite logical, taking into consideration that the Princess was a child of the last French emperor and the sky-blue and yellow (i.e. gold) are the same colours used in the Royal French coat of arms (and her personal one too). We can only assume that the ribbon may have been changed to black only after 1907, in order to mark the death of the patron of the regiment.